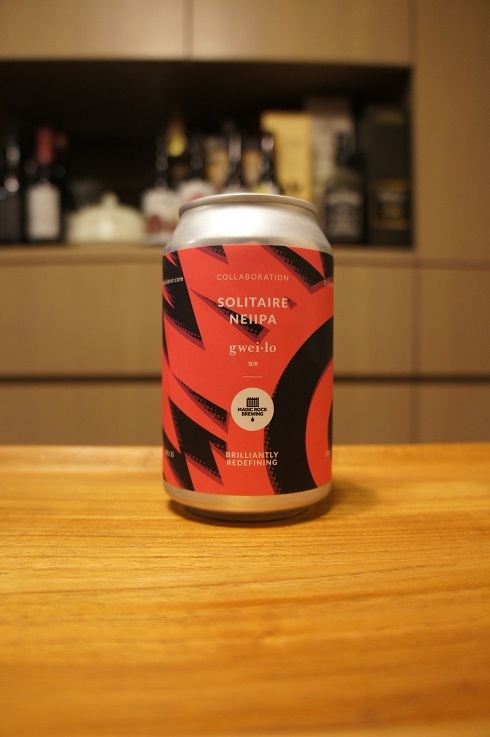 Brewer Description: (from can) Brewed with our friends at Magic Rock, Solitaire is a seriously juicy Double NEIPA. No expense has been spared on this bad boy with a huge dry hop of Galaxy, Aloha, Citra Cryo, El Dorado and Denali. These are carried by the base of pale malt, wheat and oats to create a super rich, tropical hop bomb. Gently roll the can before opening and drink it fresh to ensure maximum juiciness. Intro: A 330ml can with a best before date of 30th November 2019. Poured into a Lost Abbey teku glass. Appearance: A hazy darkish orange colour with an almost two finger white head that had decent retention while leaving behind some lacing. Aroma: Strong tropical aromas. Mango, peach, and citrus zestiness. Taste: Tropical stone fruit, ripe mango, peach, citrus zest and rind, nice light bitter finish. Overall: Very nice tropical juiciness with good light bitterness to balance and good body. 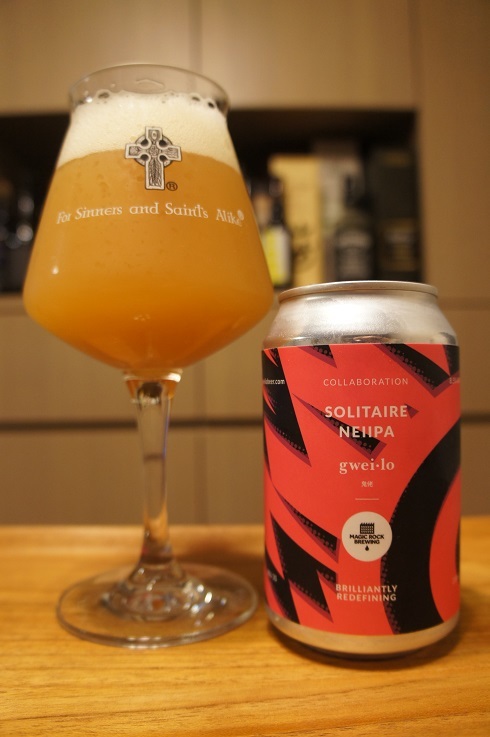 It’s got pretty much everything I asked for when I reviewed the Nebulous DDH NEIPA. Carbonation was perhaps slightly too high, but not to take anything away from it, this was good and very enjoyable to drink.